Learn How To Make Pasta With Michelin-Star Chef Fabio Ugoletti @ Bettolino Kitchen - EAT WITH HOP! A few weeks ago I had the pleasure of joining other bloggers at Bettolino Kitchen in Redondo Beach taking a pasta class! We learned how to make pasta.... from scratch! 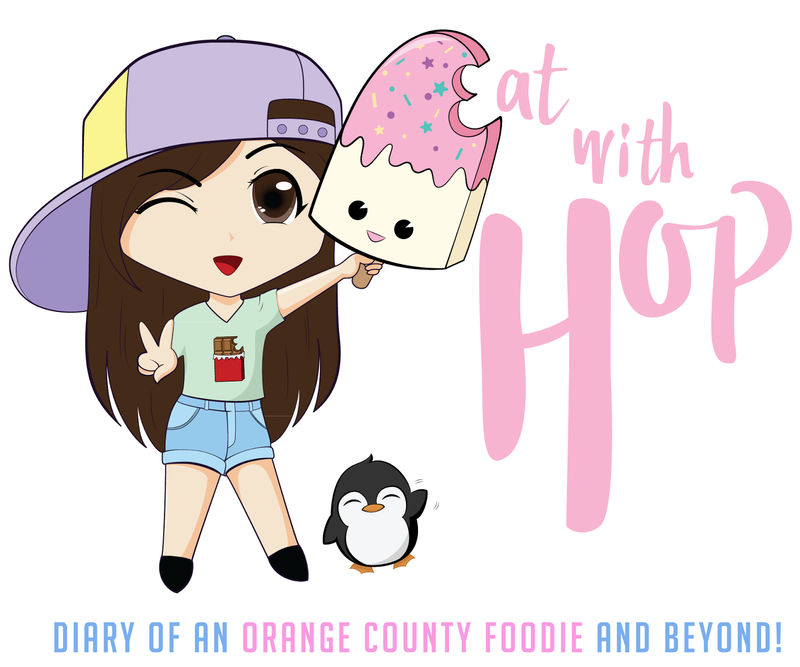 And that is one of the best experiences I have ever had on my food blogging journey! Learning to make pasta! BY SCRATCH! Taught by a MICHELIN-STAR CHEF named FABIO UGOLETTI! I couldn't believe I had this opportunity! Pasta is always a good idea. And fun fact, pasta is one of my favorite foods! The pasta making class was taught by none other than Michelin-star chef Fabio Ugoletti. I remember I was live-streaming this event and people commented on loving his Italian accent. I guess, that's as authentic as it gets, right? Fabio Ugoletti, was also a culinary instructor in Florence, Italy, where he met Vince Giuliano, one of the co-owners of Bettolino Kitchen. The two became close friends and opened Bettolini Kitchen together, along with Andreanna Liguore and Sean Liguore. This family owned Italian restaurant along with chef Fabio Ugoletti, aspire to add a modern twist to the restaurant's thoughtfully crafted menu and ambience. The restaurant is not far from Redondo Beach either, so the fresh air and sea breeze fills up the atmosphere perfectly. In Italy, Fabio Ugoletti is very well-versed with teaching pasta making classes. So it was only natural that he brings those classes over here to the South Bay! One of his most popular classes is teaching how to make Gnocchi di Piselli, green pea infused potato dumpling with Italian fennel sausage, sun-dried and cherry tomatoes, Parmesan fondue, and English pea sprouts. It is also one of the most popular dishes at Bettolino Kitchen. There were about 5 tables set up with all the ingredients perfectly portioned out! There were potatoes, eggs, fresh basil (like real fresh) and salt and flour and of course all the utensils and equipment needed! We also got to order yummy drinks. I personally don't drink alcohol, but was so happy that this restaurant actually offers worthy drinks. I got the cucumber mint ($4.50), part of their signature soft drink menu! It was so irresistibly refreshing that I had to get a refill! They also have other refreshing drinks including mixed berry lemonade, and grapefruit + ginger. Check out their beverage menu here. The interior design game is on point though! I love the quote on the mirrors! Fabio has just finished demonstrating how to make gnocchi and the dish, Gnocchi di Piselli! Time to grate the cheese! YES! Now, it was time to make my own! We were partnered up in pairs and my partner was @Wong.Foodie! Go check her out on Instagram! Here is our plate of imperfect gnocchi, tastes better that way though I think. More personality! My pieces were really small while Wong.Foodie's pieces were really big. I think we would both be able tell from from each bite who's is who's. This is Chelsey Hale, a lifestyle blogger for West Coast Capri, even though made the pasta by herself, finished before us! Gotta let the gnocchi boil until it rises to the top! That's when it is done! Don't leave it in for too long! Blogger photo mirror selfie! Featuring @Tanayas.Table too! Time to grate the cheese onto our own pasta dish now! I felt so proud of myself for making this dish! I can show Kevin next time how to make it! And it's super easy too! Good thing they provided another egg though! The class starts with Fabio teaching and showing everyone how to make the gnocchi pasta. Then, it was our turn to see how well we listened and do it ourselves! While trying to take in all the information and directions, I was really having a hard time trying to document it all on social media at the same time. What a juggle! But luckily, Fabio was really helpful and gave us some pointers. And! Since I want to try making Gnocchi di Piselli again with Kevin at home, I don't need to remember all the ingredients. The entire recipe is given at the end of class so I can attempt it again! I recommend this to anyone interested in a fun activity to do with their friends or significant other! It's memorable and different from the boring ole let's-just-have-dinner-dates. It's an interactive activity that you can do over and over! And, the portion size is great! Since it's potato based..(I never knew gnocchi was made from potatoes), the portions are great! One portion to make is very shareable for two people or even three. Seriously! I couldn't even finish half of mine! To sign up, just call Bettolino Kitchen! The gnocchi class is offered on a weekly basis. Just call and make a reservation! It costs $45 per person (mimimum of 4 people) which includes the gnocchi dish and a glass of wine. Yum! There's another cooking class - featuring a five-course meal! 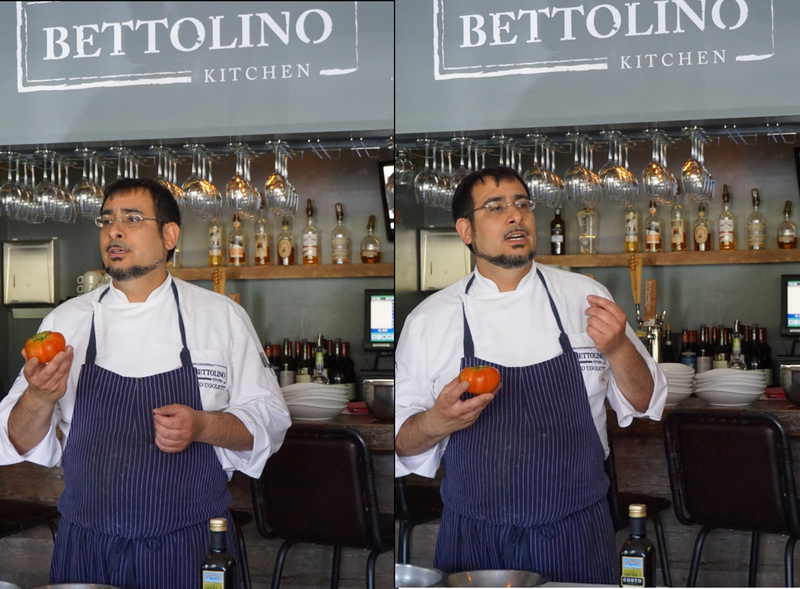 Since the cooking classes have experienced high demand with limited capacity at the restaurant, Bettolino recently partnered with Custom Design in El Segundo to create more space and teach more dishes. Chef Fabio will be teaching how to cook a five-course wine pairing meal (sounds fancy!) and the dish will change monthly. It starts at $85 per person with a max capacity of 30 people! So sign up! P.S. Since the restaurant itself is like a 10 minute drive to the beach, make it a date with your friends! I personally went to the beach after the pasta class (to kill time because traffic was killer) and it was so nice to just walk along the shore and relax and stare at the beautiful scenery! So...make pasta, eat pasta, drink wine, and walk around the beach!